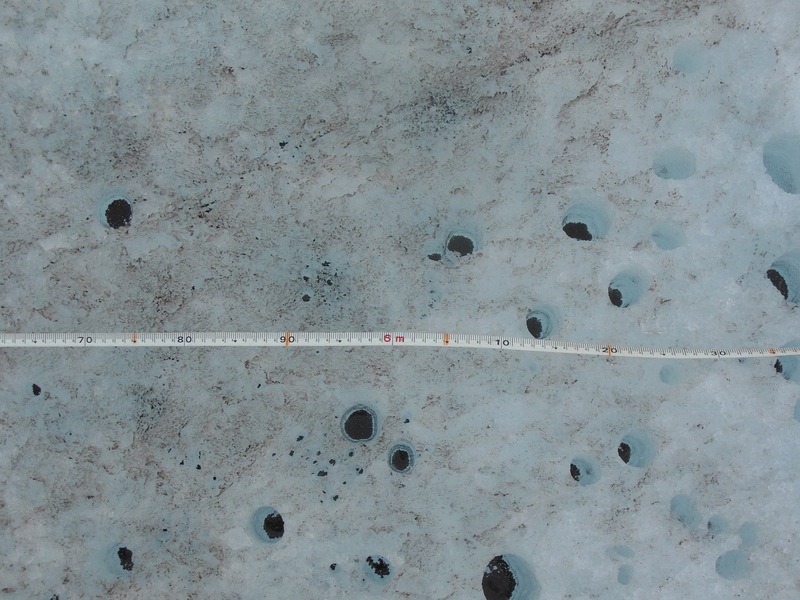 Active microbes on glacier surfaces can interact with the environment in a way that changes its physical properties. Recent results suggest that several microbial processes are of importance for the surface albedo of glaciers and ice sheets, including the aggregation of mineral particles and organic matter deposited on the ice sheet surface and the production of dark-coloured substances such as photoprotective pigments. Biological processes can therefore result in a significant change of the melting rate of the ice, thus closing a feedback loop between the physical behaviour of the glacier surface and its biological processes. We are part of the Dark Snow platform and a project partner of the Black&Bloom project. A key publication showing the results of our bioalbedo research was published in Geophysical Research Letters and can be found here. An accompanying AGU press release can be found here. The story has been covered by a number of outlets, including Scientific American, ArcticNow, and Earther. A complementary study, led by Johnny Ryan from Aberystwyth University, was published in Nature Communications and has been covered e.g. in InsideClimateNews. Ice algae and cryoconite holes on the surface of the Greenland ice sheet.